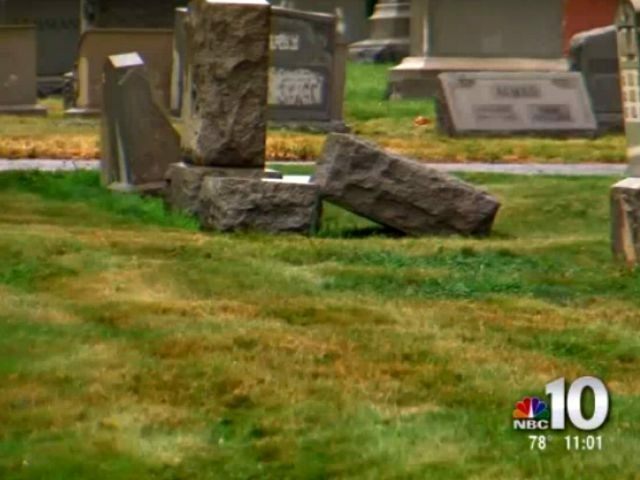 Early Thursday morning, 124 headstones at a historic Jewish cemetery in Philadephia were found knocked over. Gibson said the vandals left no inscriptions or graffiti at the burial ground along Bridge Street in the city’s Frankford section. He explained that some of the graves at Adath Jeshurun date back to the 1850s, but few people use the cemetery for burials anymore.